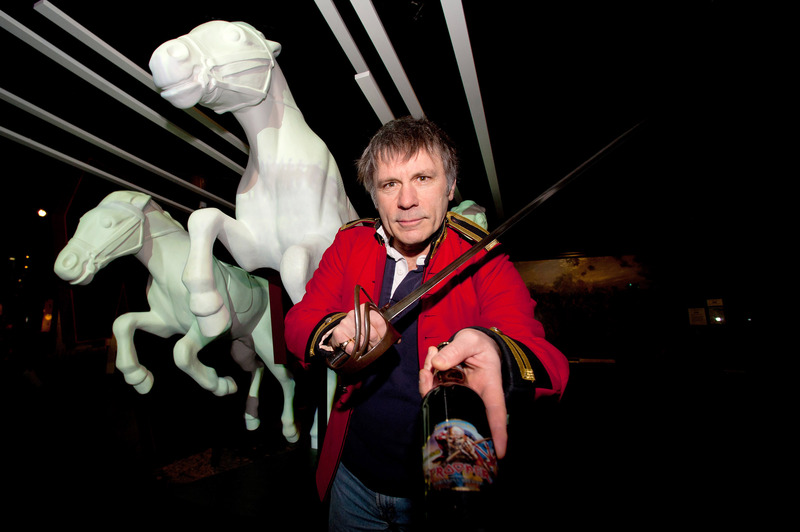 Iron Maiden's Bruce Dickinson Invests $450K to Build the World's Longest What? When Iron Maiden came out with their latest album, 2010's The Final Frontier , few fans could have guessed that the title pointed toward its lead singer's very real ambitions regarding aerial technology. Okay, maybe the title of their 2008 concert documentary, Iron Maiden: Flight 666, should have indicated that the frontman had somewhat of an aviation fixation — but it's one thing to write songs about flight and quite another to sink almost half a million dollars into building a mega-plane. Indeed, perhaps taking a cue from fellow British billionaire-aviator Richard Branson, Iron Maiden's Bruce Dickinson invested $450,000 in the world's longest plane, the HAV Airlander — with the added intent of hoping to fly it himself. "It seizes my imagination," Dickinson told BBC News . "I want to get in this thing and fly it pole to pole." Still, the plane has other practical uses, aside from the whims of rock stars: According to Dickinson, the 91.4-meter-long aircraft (that's almost exactly a mile — or, half the width of Manhattan) is "70% greener than a cargo plane. It doesn't need a runway, just two crew. And it can plonk 50 tonnes anywhere in the world you like, which is 50 times more than a helicopter" — making it an exceedingly useful transport. Plus, the singer announced some properly Planet Earth-ian intentions: "We'll fly over the Amazon at 20ft, over some of the world's greatest cities and stream the whole thing on the internet." Regardless of his experiment's actual outcome, Dickinson seems to have answered one of his age-old questions: Not only can he play with madness, with sizable royalties at his disposal, he can bankroll it.